I am a freelance writer and editor, and I’ve been working with overseas employers for years. This is to attest that being a Filipino – or any other nationality for that matter – does not hinder, in any way, opportunities of being hired by international employers. So, if you’re someone starting out in the freelance world and need a guide on how to get started and thrive as a freelancer, I’m sharing with you my personal experience and thoughts. Being a Filipino freelancer doesn’t have to be different at all. As long as you meet the qualifications required, you are free to apply for any freelancing job you wish. The only worry here is that some American employers prefer native English speakers. However, as based on my experience, the constant practice of writing every day will help you develop the skills to write the way they want you to. Anyhow, here’s what I had to go through to learn and thrive as a freelancer. I have been a freelance writer for five years and it’s only in the last years that I started earning better. I devoted the earlier years building my experience. This includes fine tuning my writing, familiarizing myself with the work, knowing how to deal with clients and many more. The thing is, online employers can only assess your skills and credentials through the cover letter, resume and sample works alone. And even if they ask for an interview, the process is different from the real-life hiring process. Thus, if you want to make an impact, your body of work should showcase your skills which is something you can enhance through years of writing. As a freelancer, there’s always the risk of not having work in a day. And what I’ve noticed is that I kept looking for more employers just to guarantee that I have a full load of work every day. It’s really not a bad thing at all as long as you manage your time efficiently. The only problem is when you choose employers hastily. The fear of not earning may force you to jump on any job offer in front of you. This is a huge no-no. You have to choose your jobs wisely. It should be based on your available hours and your productivity. Pick jobs where you can be more time efficient and you’ll earn better. Personally, I don’t use a lot of tools as a freelance writer. I just use the basics, plus some additional tools if an employer requests for it. Ever since I started writing, I’ve been using MS Word. It really gets the job done for me. I use Dropbox to share files with one of my employers. He prefers it to receiving the articles through email. Also, I really like the share link feature. I can insert links to my resume and sample works in my cover letter. A recent tool I was introduced to was Windows Live Writer. It’s an offline blogging tool. My employer prefers that I write from this tool before uploading my posts to WordPress. It makes it easier for him to format and make minor edits to the posts. Also, when you’re out hunting for new gigs, check out Bidsketch. It’s great for building structured client proposals without the need to be a design or typography specialist. Having your proposals look professional can go a long way in this business. Only you can determine how productive you are and what can make you productive during work hours. For me, I stick to a regular work shift and it really helps me manage my time better. If you’re a morning person, that’s better as you can start early and finish early. What can make you more productive? Perhaps drinking coffee and working in a quiet environment? Well, this will really depend on you but make sure you maintain that habit. And one more thing about productivity… know how much work you can handle on a daily basis. Don’t ever bite more than you can chew. In the freelance world, if you can’t meet deadlines and deliver what’s expected, your clients/employers will terminate your services in a snap. Having a PayPal account is almost mandatory right now if you’re a freelancer. Most overseas employers prefer transferring payments through PayPal since it’s very easy and convenient. You receive the money within minutes and you can withdraw it to your bank account right away. In fact, most international employers require this from job applicants. Don’t let this specific requirement hinder you from landing a good-paying online job. Before we end, I’d like to share something with you on a more personal note. When looking for freelancing jobs, be very cautious about scammers. I have been burnt several times. There’s a certain risk that comes with this job and the only way to protect yourself is to do a background check on the employer. Also, don’t be afraid to ask for information like the company’s website and payment methods. You have to know what you’re getting into before accepting the job offer. Most importantly, know how much your services are worth and don’t allow shady employers degrade your efforts with measly rates. If you feel the need to negotiate, do so. Employers will be considerate if they know the value of work you’ll be putting in. About the author: Azalea is an experienced, passionate writer involved in the newInternetOrder.com project – a place where online business is taught to normal people. No hype, and no constant product pushing. In her spare time, Azalea is interested in action-packed movies, MMA, volleyball, food and harnessing positive vibes for a well-balanced lifestyle. I just contacted several of my clients and advertisers and asked if they could pay me by check or direct deposit rather than PayPal. PayPal is convenient, but the fees are killing me. Though they’re tax deductible, I paid about $2000 in PayPal fees in 2009. I’d much rather have that money in the bank. I’ve been thinking about PayPal for the past couple of weeks after one of FWJ’s contributors told me he never uses PayPal because he doesn’t want to deal with the fees. As a client, it’s cheaper and easier for me to pay via PayPal. As a writer, I feel his pain. So I’ve been thinking about the PayPal situation and how to deal with all the fees. I can’t afford to lose such a big chunk of change each year. Have clients pay the fees: Negotiating PayPal fees into your project quotes will help to alleviate the blow that comes with PayPal fees. Many clients have no problems with this as they don’t want you to lose money when you write for them. If you have clients cover bounced check or other fees, you should also have it written in to your contract for them to cover the PayPal fees. 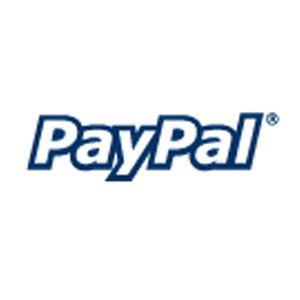 Use a personal PayPal account for occasional payments: If you’re only receiving occasional funds via PayPal, the personal account might be the way to go. Fees aren’t deducted from personal payments. However, if you’re only using PayPal for professional purposes, you will have to open a business account. It doesn’t cost anything to upgrade, except for the fees. Note: Just because you have a personal account doesn’t mean you won’t be hit with fees. If you accept credit card fees via your personal PayPal account, it will be considered a business transaction and you should expect to be hit with fees. Payments marked “goods” or “services” can also be hit with a fee. Use direct deposit: Several of my advertisers including Amazon and Google use direct deposit for payment and I absolutely love it. The payments are placed into my business account each month like clockwork, and life is good. When I pay my bloggers, I can easily transfer payment to my PayPal account to send funds. Accept checks: I don’t understand why more freelance writers don’t accept checks as payment. Running to the bank to deposit checks is only a very small inconvenience and well worth it when you consider how much you’re saving on fees. My clients are very accommodating when it comes to paying by check and every time I request check over PayPal they say yes. Some writers don’t want to deal with a bounced check. In ten years of freelancing not one client has bounced a check on me. However, it’s written into my agreement that they will have to pay any fees associated with bounced checks or other banking errors. Wire transfers are another option, especially for International clients but this can be expensive for all involved, and collection isn’t always easy. Transferwise is also an option they fast, reliable and fully transparent money transfers at a small flat fee. It is a simple idea that eliminates red tape and delays around international transfers and allows companies and individuals save in bank transfers. PayPal fees are tax deductible so be sure you’re keeping track. If you’re not keeping track, you might be surprised at just how much you’re losing each month. There is no denying the convenience of PayPal, but it shouldn’t come at such a high cost. Don’t be afraid to seek alternative forms of payment or request clients handle PayPal fees. You’ll find most are willing to work with you so fees don’t take such a huge bite out of your pay. How do you get around PayPal fees?